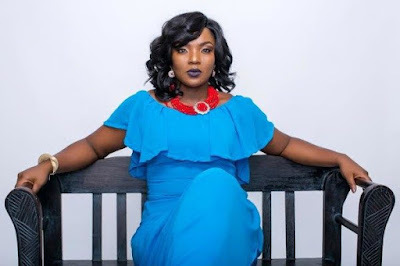 As the recent comment by President Muhammadu Buhari that his wife belongs in his kitchen continues to spark controversies across the country, renowned Nollywood actress, Chioma Akpata, has joined the league of female folks, raising their voices of concern. The President had reacted to an ‘explosive’ interview his wife granted the BBC, where she said she may not back her husband at the next election unless he reshuffles his cabinet. Recall that veteran actress, Hilda Dokubo, had in a 2-minute video clip shared on her Instagram page @hildadokubo, said she does not belong in the kitchen, living room or other rooms and she deserves some right as a woman and human being. Also reacting to the President’s comment, Akpota, on her Instagram page @chiomakpotha, had written a piece, putting ‘the other room’ in different categories. The award-winning actress wrote: “THE OTHER ROOM! “The Other Room where a woman pretends to be weak so that a man can believe he is strong; where a woman pretends to be foolish, so that a man can say he is wise, where a woman stoops so that a man can conquer.